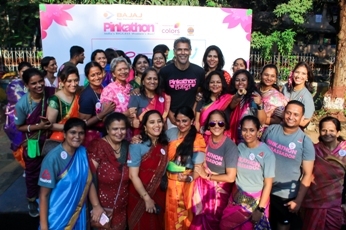 Bajaj Electricals Pinkathon Mumbai 2018 presented by COLORS organised novel promo event; the Saree Run with Milind Soman at Ganesh Udyan, Vikhroli over the weekend in Mumbai. 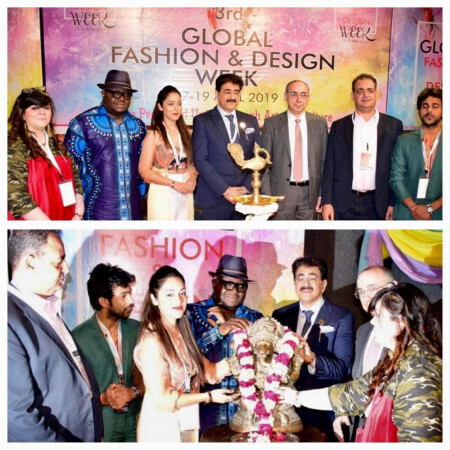 The Saree Run was intended at empowering and encouraging women to participate in the saree run by draping our rich and vibrant culture around them! Such a rocking and energetic Saturday morning with over 200 gorgeous women all dressed in beautiful sarees. The atmosphere was festive and lively. Commenting on the Saree Run, Model and Founder of Pinkathon Milind Soman said, “We at #BajajElectricalsPinkathon strongly believe in inclusiveness of all and make sure that women can and should practice staying fit wearing whatever they are most comfortable in. The legacy and love of every Indian woman for sarees is undeniable. We want to change the mind-set of women. We want women to run in whatever they wear and the way they are dressed, be it sarees, salwar kameez or even the hijabs.